Most furniture sits on the floor, but this piece by Amuneal hangs directly from the wall. 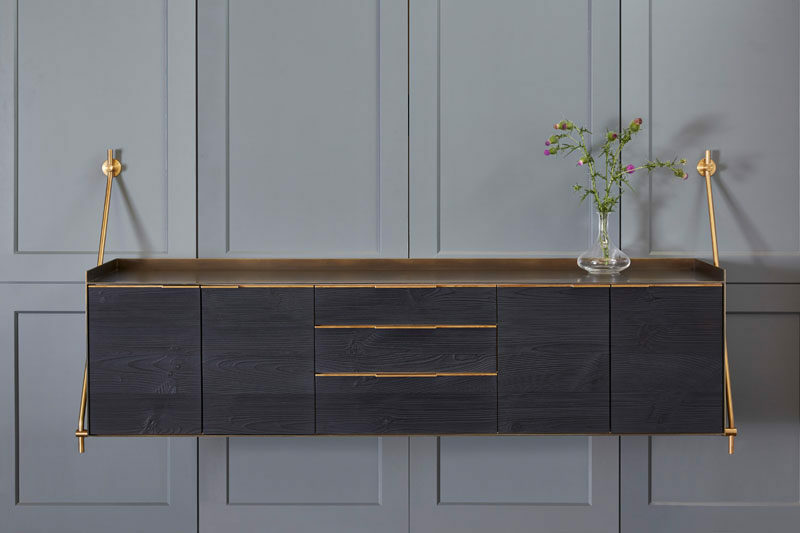 Designed as part of their Collector’s Heritage Series, the wall hanging credenza is made from a charred pine exterior that’s wrapped in darkened brass. The credenza hangs from the wall by two brass ‘straps’ that attach to a rod underneath the piece. 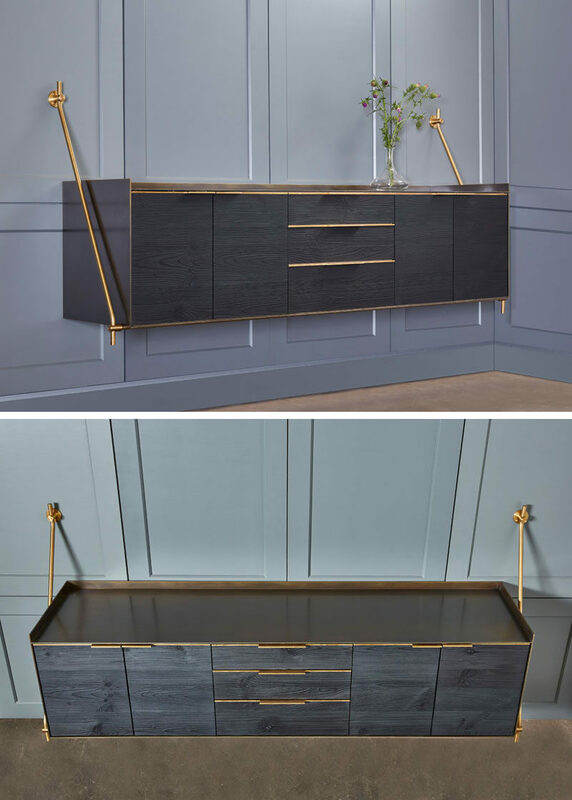 The brass contrasts the exterior of the credenza and highlights how it’s attached to the wall. 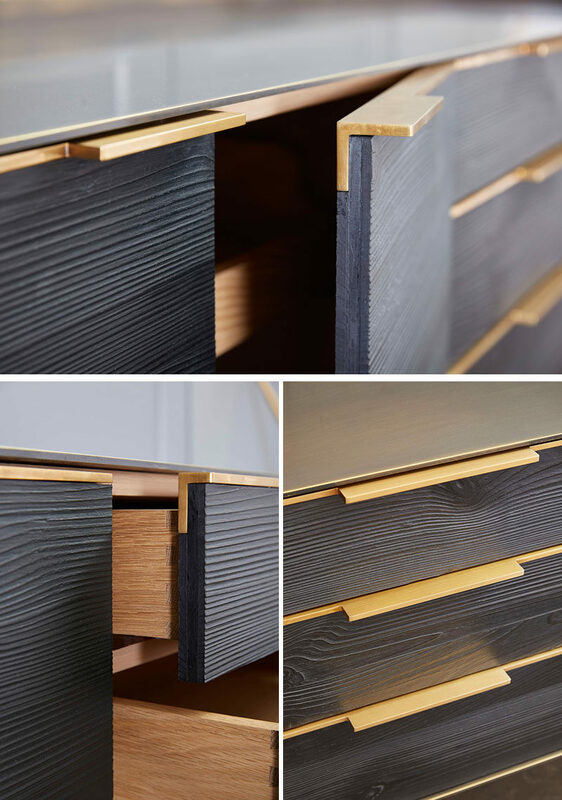 The minimalist warm brass pulls on the doors and drawers of the credenza open to reveal a silvered oak interior.